The following post was sent to us by Dominion’s Richard Hanson for NEI’s Powered by Our People promotion. Powered by Our People is part of the Future of Energy campaign that NEI launched earlier this year. This promotion aims to communicate innovation in our nation’s nuclear facilities in the voices of the people working at them. 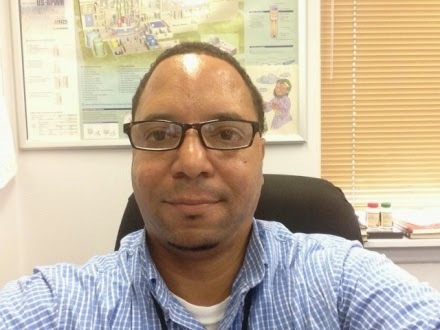 Richard is the manager of protection services at North Anna Power Station in Louisa County in Central Virginia. He’s worked in the nuclear industry for 11 years. For more on this promotion, take a look at the featured content on our website and follow the #futureofenergy tag across our digital channels. Tell us about yourself, and how long you’ve been in the nuclear energy industry. I am the manager of protection services at North Anna Power Station. We’re owned by Dominion Virginia Power and I’ve been in the nuclear industry for approximately 11 years. Why do you enjoy what you do? I enjoy what I do because I get a sense of accomplishment at the end of the day. I know that my troops and I have protected this facility against radiological sabotage. Why do you think nuclear energy is important to America’s energy future? First of all, nuclear energy is clean energy. We need more clean energy. A lot of coal plants are being retired as companies look to carbon-free alternatives for power production. Nuclear is a good, clean option. How are you bringing innovation into the nuclear energy industry? We are implementing very innovative security techniques with our officers. We’re utilizing technology a lot more than we did in the past, but we still must have the “boots on the ground.” The industry requires us to have a certain number of officers, but we can supplement some of those numbers with technology. I can’t provide further details about how we protect the station because that’s confidential safeguards information. However, I can assure you that we take our security duties very seriously and help make our nuclear stations among the most hardened and protected industrial facilities in the world.